What Causes Facial Hair in Women? Vitamin E plays an integral role in promoting healthy skin and this is because it has antioxidant properties that eliminate free radicals from your body. Free radicals contribute to premature aging which goes to show that Vitamin E is in fact an anti-aging nutrient. Vitamin E is used vastly in skin care and can help reduce the appearance of wrinkles, age spots, stretch marks and fine lines which often appear with age. The nutrient can be sourced from foods such as olives, peanuts, almonds, wheat germ, green leafy vegetables and almonds ect. This article explains both the external use of vitamin E oil for skin and internal consumption of vitamin E rich foods. Vitamin E is one of the primary ingredients in many skin care products and it is also not uncommon for dermatologists to prescribe the Vitamin. This is because it improves cellular function and due to the fact that it is mild and natural, it can be used by anyone. There are various benefits you will get using by applying Vitamin E oil on your skin. Vitamin E oil is used as a great substitute for skin lotions which you may not know are loaded with harmful chemicals and ingredients such as alcohol. These lotions tend to rid the skin of its natural moisturizer and it can therefore replenish the lost moisture. Application of Vitamin E oil in its pure form is not advisable and this is because the oil tends to be very sticky and thick. As a result, we recommend application vitamin E oil together with olive oil before going to sleep for best results. Because of its antioxidant property, vitamin E can also be used an anti-aging agent. The oil can help to smooth out your fine lines, wrinkles and prevent their presence in the future keeping your skin firm and tight. Vitamin E oil is easily absorbed by the epidermis. It is highly effective when it comes to soothing sunburns and the damage caused on the skin with overexposure to ultraviolet rays. Studies show that combining Vitamin E and C can create a natural sunscreen. You can use this oil twice a day on the parts of the skin affected for quick healing and youthful-looking skin. You can also use Vitamin E oil to cleanse your skin. Apply a dab of the oil on a clean sponge and apply it sparingly on your skin especially in areas where the skin is thin which are around the eyes, mouth and nose. Wipe off the oil with a clean makeup sponge and leave a very thin layer of the oil. Vitamin E oil could also double as a makeup remover. Simply dip some cotton into the oil and wipe the face to remove makeup. Vitamin E could also be used to reduce scars and stretch marks. Pure Vitamin E oil can help initiate scar healing and also prevent the formation of scars as it penetrates deep beneath the skin’s surface blocking free radicals. The oil can help increase the production of collagen giving the skin greater elasticity hence combating the formation of stretch marks. When your skin has proper elasticity, it will easily stretch out and this will minimize the tearing of tissue which is what leads to stretch marks. When using Vitamin E oil on scars, you need to ensure that the skin has been sealed as it should not be applied fresh injuries such as cuts. Vitamin E can help maintain an overall healthy immune system by neutralizing the harmful effects that appear when fats oxidize. Ongoing research is looking into the role of vitamin E when it comes to stopping the production of free radicals and this could be key in preventing signs of aging and chronic diseases as well. Below we have a look at some of the valuable food sources of Vitamin E.
You need to incorporate cereals fortified with Vitamin E into your breakfast. You may want to have a look at the nutritional facts printed on your favorite cereal’s pack to confirm if Vitamin E is present and the amount you get per serving. 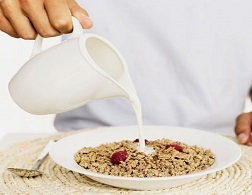 Various cereals have 13.5 milligrams per serving which is nearly as much as the daily recommended intake. 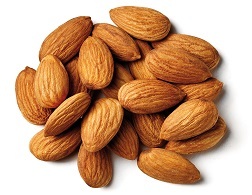 Almonds are one of the best sources of Vitamin E and one ounce contains an impressive 7.4 milligrams of the Vitamin. You can also get this Vitamin from almond oils and almond milk. Eating almonds in their raw form is recommended. 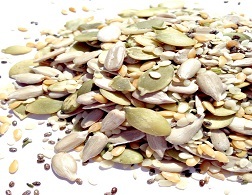 Various raw seeds contain good amounts of Vitamin E and these include pumpkin seeds, sesame seeds and sunflower seeds. It’s said that a quarter cup of sunflower seeds could give you about 90.5 percent of your daily recommended Vitamin E intake. Mustard greens are rich in nutrients and these greens not only contain Vitamin E but are also rich in Vitamins A, C and K. A boiled cup of mustard greens could contain 14 percent of your daily required intake. 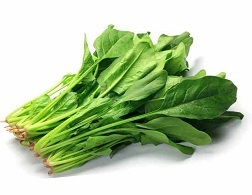 Spinach is one of the best vegetables you can consume and this is because it is rich in folate, calcium and Vitamins. A cup of boiled spinach can cater for 20 percent of your daily Vitamin E dietary needs. 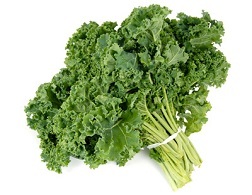 Kales should be eaten frequently and this is because they contain various nutrients. 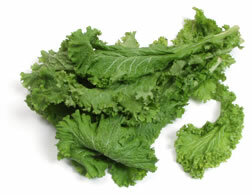 A cup of boiled kales could provide six percent of your daily requirement. 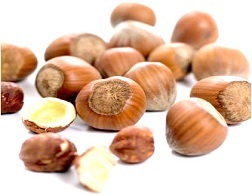 Hazelnuts are a great snack and an ounce could give you about 20 percent of your daily Vitamin E dietary intake. You can also drink hazelnut milk with your coffee as a substitute for milk or your favorite favored creamer. 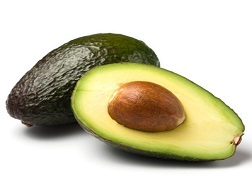 Avocados are oil rich and also contain a lot of Vitamin E. A full avocado gives you 2mg of the Vitamin and you can easily incorporate avocados into your diet by having them with your salad, sandwich or as guacamole when mashed. This fruit is one of the richest sources of the Vitamins E and C. It can provide you with 17 percent of your daily recommended intake. 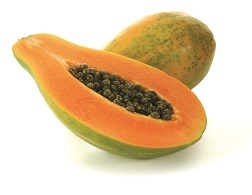 You can add frozen papaya to smoothies with other Vitamin E rich foods for a healthy snack. 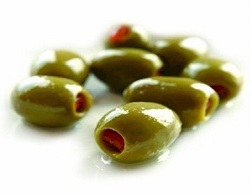 Olives are excellent and you can get your Vitamin E by eating them as a fruit or using olive oil. A cup of olives can provide you with 20 percent your daily recommended Vitamin E intake.